In 1860 and much of the Railway Foundry of E.B.Wilson & Co still lay dormant over two years after chancery action had led to the collapse of that firm. Many of the personnel had simply moved next door to the new firm Manning Wardle that had risen out of the ashes. In the Hunslet area of Leeds the workshops of Kitson Thompson & Hewitson and Manning Wardle were busy supplying locomotives to the expanding railway network. With the remaining plots of the Railway Foundry still up for grabs and frequently advertised in the local papers a couple of personnel from Kitson, Thompson & Hewitson figured there was still room for another engine maker in Leeds. These two people were chief draughtsman William Shillito Hudswell and works manager John Clarke. They were joined by famous surgeon Dr William Clayton who provided the financial capital to start them up. What they bought with this capital was lot 6 of the Railway Foundry site, not a particularly well developed part of the site. However, it just what they needed to build a brand new works. Though the works was new it did bear the old name of E.B.Wilson’s works, the Railway Foundry. This name was already well known and it made good sense to trade on the good reputation their predecessors had earned. The first product built by the new Railway Foundry was not in fact a locomotive, it was a stationary engine completed on 16th April 1861 as works number 1, this might have actually been for use within the works. It was on this same date that the first two locomotives, works numbers 2 and 3, left the works. They were 0-6-0 saddle tank locomotives Wheatley and Kenyon built for the Buckley Railway, a mineral railway in Flint. 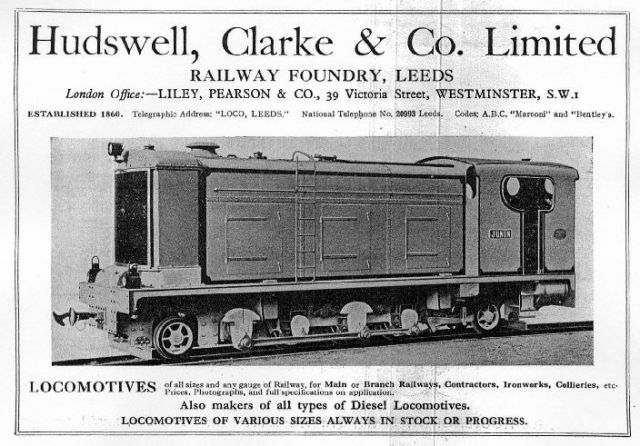 Hudswell Clarke were keen to advertise that they were willing to produce locomotives to order. Their predecessors E.B.Wilson were known for being keen to stick to standard designs. The first two locomotives had left the works within two months of the order being placed. This showed that they could deliver what the customer wanted and they didn’t need to mass produce in order to get the job done quickly. In keeping with this flexible approach to orders they were very much a ‘general engineers’ in the early days. With the local manufacturing industry expanding much work was obtained supplying machinery to factories. 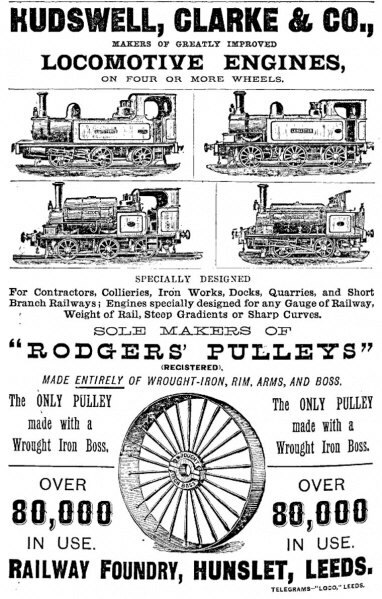 The most significant of this early non-railway work was Rodgers’ Patent Pulleys. Joseph Rodgers joined the firm from a small smithy in nearby Beeston, he had worked on designs to make his pulleys ‘virtually indestructible.’ He joined the firm as a director in 1866 and in 1870 the company even changed its name to Hudswell Clarke & Rodgers. For a time this new name even replaced the ‘Railway Foundry’ trademark on the locomotive works plates. Pulleys may sound fairly inconsequential compared to building locomotives, however, with countless mills using miles of line shafts to drive rooms full of machinery from a single stationary engine it was big business. It was also important that this equipment was reliable. Factory workers were often paid according to what they produced and it was unacceptable to have the job stopped for equipment faults. Rodgers left the firm in 1883 by which time 30,000 pulleys had been made. Hudswell, Clarke continued to make pulleys and 120,000 were made by 1898 making them the world’s largest producer of pulleys. Another early example of non-railway work was the development of the Tom Pudding barges used on the Aire & Calder Navigation. 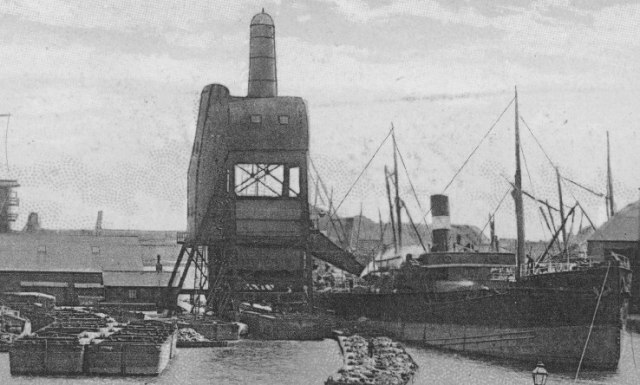 With its location between the Yorkshire coalfields and the Port of Goole, the Navigation was ideally placed to move huge volumes of coal and to do this it needed something more effective than existing barge designs. The solution was to move coal in what were effectively floating trains, a string of compartment boats which could be steered snake like between the mines and the port, here they would be separated, lifted out of the water and tipped in to ocean going vessels. This was the brainchild of William Bartholomew, son of the Navigation’s Surveyor and Clerk of Works Thomas Hamond Bartholomew. He had taken on the unenviable task of making the Aire & Calder Navigation capable of taking on the competition of the new railways. William Bartholomew was also a neighbour of Dr William Clayton and this may explain how Hudswell, Clarke became involved. Work on developing the "Railway on Water" was split between Hudswell, Clarke who were set to work developing the compartment boats and William Armstrong of Newcastle who would build the hoists to unload them. Initially the boat designs had side doors that would be opened when the boats were lifted from the water, at least one prototype of these is thought to have been built. Armstrong suggested that the compartment boats should be tipped over in the hoist, this did away with the need for side doors. The doors were something that had been causing great trouble in Hudswell, Clarke’s design work. There are even drawings of one door design in existence that would have proved impossible to open. It is not known how much actual construction work Hudswell, Clarke did on the Tom Pudding concept. Certainly some compartment boats were constructed, or Pontoons as the drawings described them. Also works number 11 of 1862 was a tugboat engine for the Aire & Calder Navigation which would almost certainly have been for use on the Tom Puddings. Once the design had been developed however, the work ended up in the hands of Goole boat builders before the Navigation realised that it was cheaper to build the boats in their own workshops. The concept was used into the 1980s and the last compartments were built in 1977, though the Tom Pudding idea was a great success Hudswell, Clarke didn’t see the fruits of it. W.S.Hudswell died in 1882 and J.Clarke died in 1890. In the early 1880s, the Clayton family became more involved in running the firm, and the sons of the financial backer were also taking a more hands on approach in the engineering side of things. The company’s name was changed to Hudswell, Clarke & Company, reflecting the fact that various partners come and go and it’s not practical to keep changing the name. In 1899 the firm became a limited company. Throughout these early years a steady flow of locomotives was emerging for mainline railways and industrial systems and the general engineering side of the business declined. These locomotive orders were dominated by saddle tank locos but a number of four and six wheel tender locomotives were also produced. Some export work was undertaken but by far the bulk of the work around this time was for the UK market. Like the Wilson ‘spin off’ company, Manning Wardle gained a lot of work through the construction of contractors engines. Around the turn of the 20th Century there were several massive engineering projects around the country and railways were often used for moving earth and materials. One project that served Hudswell, Clarke well was the construction of the Manchester Ship Canal. The company supplied locomotives for use in its construction and went on to supply the bulk of the fleet for the canal’s own railway system. This would be a particularly lucrative contract as the MSC railway system would become the largest industrial railway system in the UK. A design of engine was developed for the MSC, known as the Canal class in Hudswell, Clarke’s catalogues. These were 6 wheel side tank locos with flange-less centre wheels for the tight curves of the MSC railway lines. They were also designed to provide plenty of power for their size as there were sections of steeply graded track in their system. Many other industrial systems chose to use Canal class locomotives. Several were supplied to the Ironworks around Shotton and a number of similar operations. Another particularly big contract, though for much smaller engines, was with the Leeds firm Robert Hudson. Since 1865 the company had been supplying light railway equipment from its Gildersome works and it could supply entire industrial light railway systems ‘off the shelf’. What Gildersome didn’t produce, however, were the locomotives for these railways. For years Hudson had been producing narrow gauge track sections and wagons that could be hauled by horses however the railway systems were becoming more elaborate and the customers increasingly wanted engines. The first few engines subcontracted from Hudson were built across the road at Hunslet Engine Co. It was Hudswell Clarke however that was chosen to develop a series of 16 standard designs for inclusion in the Hudson catalogues. 188 Hudswell / Hudson locomotives were built under this contract which lasted until 1929. Most notable of these were the 0-6-0WT locomotives supplied to the War Department, primarily for use on light railway supply lines in France. Their low centre of gravity make them particularly suitable for use on Hudson prefabricated track sections that were literally laid across muddy fields. Germany had been developing similar railway systems, or Feldbahn as they called them, long before the First World War and the allies had much catching up to do. Many engines were constructed by Hunslet Engine Co, these being larger 4-6-0T locos. It proved difficult to supply the volume of locomotives needed though, particularly with the works also producing munitions. Baldwin in America also produced many locomotives for the First World War battle lines. At the end of World War 1 the market was flooded with redundant little steam engines. Hudswell overhauled a number of the Hudson locomotives for resale into industry. There were still some new orders through Hudson, mainly for industrial use in India, though customers were beginning to want internal combustion engines. 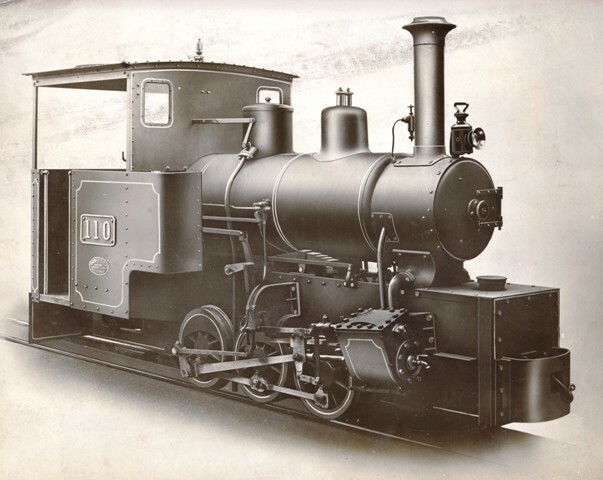 It is speculated that after the First World War, amongst the locomotives returned from the battlefields in Europe was a German Deutz petrol locomotive that went to Hudswell Clarke who were at the time keen to develop their own internal combustion locomotives. The first internal combustion locomotive was works No P251 of 1925, the P prefix denoting a petrol locomotive. Leeds Corporation used it for the construction of Gledhow Valley Road which required significant earth works due to the gradients involved. Up to 1933, 15 narrow gauge petrol locomotives were built. Also constructed was a standard gauge petrol railbus for the Spurn Head Railway, a military line that served a strategic fort on the Humber estuary. Hudswell built the chassis for this railbus and the bodywork was constructed by local bus maker Charles Roe. Diesel would soon prove to be the fuel of choice. 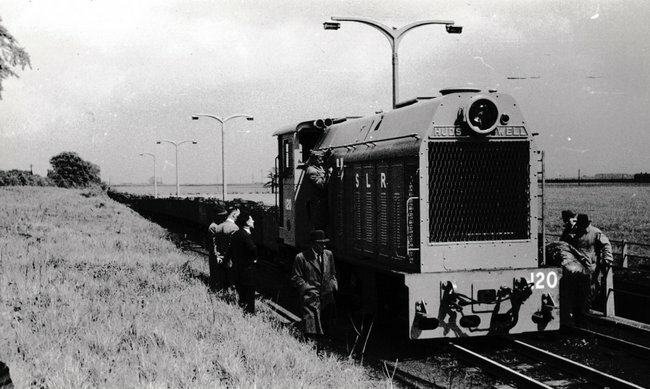 The first diesel locomotive was D557 of 1930, Junin. This was built for export to the Junin Railway in Chile and though other companies had been building diesel locomotives for years Junin was, at the time, the most powerful direct-drive diesel locomotive in the world. Junin survives and is not far from its birthplace at the Armley Mills industrial museum in Leeds. Though steam locomotive construction would continue until 1961 Diesel locomotives would dominate the order books more and more over the intervening years. Two Hudswell, Clarke locomotives were built for the London Midland & Scottish Railway in 1934. 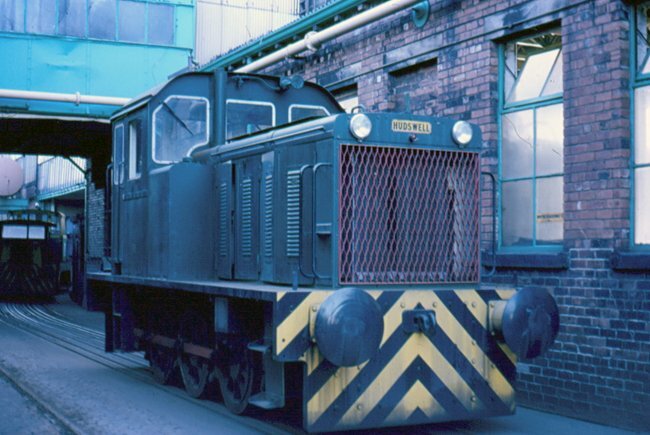 Nearby in Hunslet West Yard, experiments were carried out with diesel shunters from a number of manufacturers. 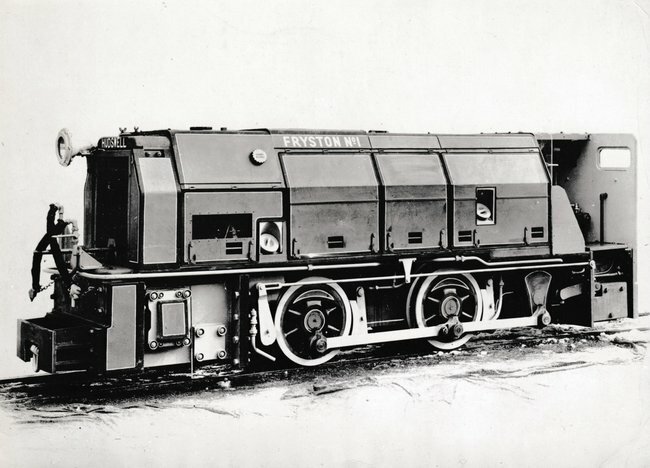 English Electric engines would dominate the LMS diesel shunter fleet, however Hudswell, Clarke did obtain a number of orders for standard gauge shunters. A number of unusual orders appeared in the 1930’s these were in the form of miniature versions of the most prestigious main line locomotives for tourist railways and holiday camps. The big fast pacific engines being built for the East and West Coast Main Lines by the LNER and LMS had captured the interest of the public. 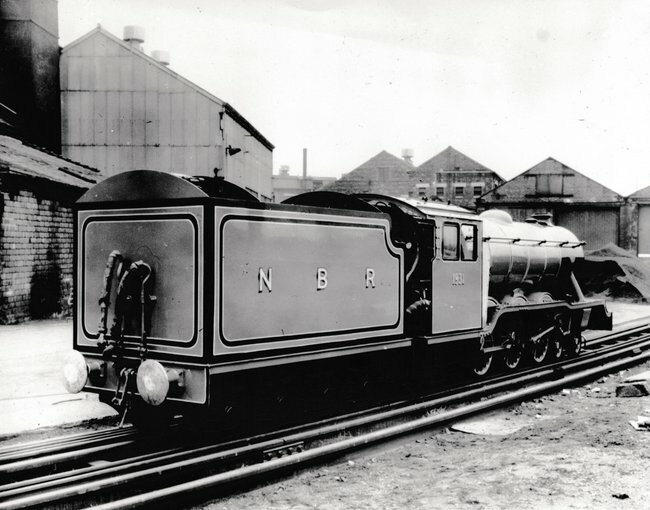 The first miniature ordered was for the North Bay Railway at Scarborough in 1931. On the outside this was a third scale replica of the LNER’s A3 class locomotive but inside it was powered by a diesel engine. Two were built for the North Bay Railway, these were named Neptune and Triton and both still operate there today. 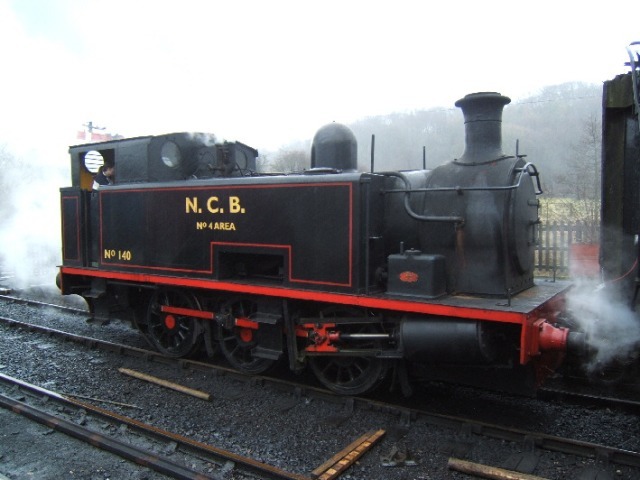 Golden Acre Park in Leeds ordered a Baltic tank engine named Robin Hood, and an A3 named May Thompson. These went to Blackpool Pleasure Beach when the park closed a few years later. Both are now on the North Bay Railway, May Thompson having later been renamed Poseidon. Blackpool Pleasure Beach also ordered a Baltic tank and an A3 tender locomotive, this was followed in 1934 by a locomotive based on the Princess Royal class of the LMS, more appropriate for the LMS served town. Two more miniature Princess Royals were built in 1937 for Billy Butlin’s holiday camp at Glasgow, these are now preserved at the Midland Railway Centre. Though railway enthusiasts might scorn steam outlined diesel powered miniature locomotives, these engines are historic diesel locos in their own right. 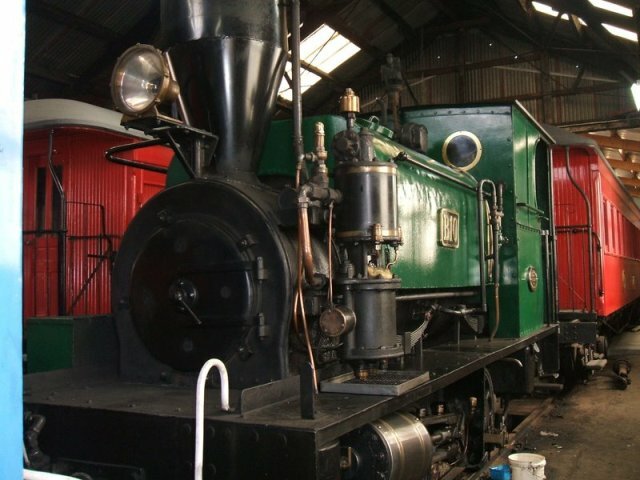 Neptune was Hudswell's test bed of diesel hydraulic transmission and the Hudswell miniature locos are the oldest surviving diesel hydraulic locos in the world. The Second World War led to more diversification at Hudswell, Clarke, like all the local engineering firms they were put to work supplying munitions. Hudswell, Clarke received a number of orders through aircraft manufacturer Blackburns. Much of the work was carried out in the Olympia works on Roundhay Road that Hudswell, Clarke rented from Blackburns. Amongst the work carried out there was fuselages for Blackburn Skua planes. One of these had the honour of being the first to shoot down an enemy plane in the war. Back in the Jack Lane Railway Foundry the company also built a number of the Austerity 0-6-0ST locomotives designed by neighbours Hunslet Engine Co. A significant development for Hudswell, Clarke was the production of missile parts which provided a great deal of work after the war had finished. Parts for experimental rockets were produced and the firm was also involved in producing the shells for nuclear missiles. Britain was testing a number of nuclear devices in remote parts of Australia and these used shells made at the Railway Foundry. This was highly secretive work and it is only fairly recently that details were declassified. After the war the company expanded its works, taking over the former works of J&H McLaren next door when that firm moved to the former Kitson works nearby. McLaren’s former Midland Engine Works, itself another former plot of Wilson’s Railway Foundry, became referred to as their West Works. Aside from the diversion into missile production, after the war, locomotives became the bulk of the business again. Steam engines were still being ordered and the company was particularly proud of the three mighty (despite their meter gauge) 2-8-4T locomotives supplied to the Iraq Petroleum Company in 1951 and 52. After these locomotives had been despatched the company ordered a 12th scale model from the Leeds Model Company for display in the entrance to their offices. The company also produced four ZB class narrow gauge steam locomotives for the Dehri-Rhotas Light Railway in India. In the 1950s a number of the customers that had previously ordered steam locomotives from Hudswell, Clarke began ordering diesels. The last Manchester Ship Canal steam locos were barely run-in when Enterprise, a prototype diesel locomotive developed by Hudswell, Clarke, was tested on their system. Despite problems with this new design of loco the MSC still ordered the two 430bhp locos for some of their heavier trains in the Salford area, 14 smaller 204bhp diesel mechanical locomotives and a 106bhp shunter for the works department. An important order for diesels at the time was the order for a fleet of diesels for the 2’6’’ gauge Sierra Leone Government Railways, 8 0-8-0 and 24 2-8-2 locomotives based on the Enterprise prototype were supplied between 1954 and 1961. The first of the 2-8-2 locomotives was tested at nearby Ledston Luck Colliery (this mine having a section of 2’6’’ surface line) and demonstrated to officials from Sierra Leone. The company supplied large numbers of narrow gauge locomotives for use underground in coal mines as efforts were made to modernise a number of mines. Several coal mines were now relying heavily on underground railway lines as coal faces had extended further away from the pit heads. This meant that underground engines were becoming bigger and more powerful. Hudswell Clarke produced some excellent mine engines which were ordered in large numbers both at home and overseas. These locomotives bear the name Huwood Hudswell, representing a collaboration with Hugh, Wood & Co Ltd, a firm that specialised in supplying mining equipment. One interesting late development of steam locomotive design was works number 1888 of 1958, Elizabeth supplied to Esholt Sewage Works near Leeds. This was designed to run on wool grease, a byproduct of the works. This engine is preserved at the Leeds Industrial Museum at Armley Mills. The 1960s brought a downturn across the industry that affected business at Hudswell, Clarke. There was more diversification into non-railway products, something also happening across the road at Hunslet Engine Co and nearby John Fowler. Hudswell, Clarke became heavily involved in producing civil engineering machinery under the Hudswell, Clarke Badger name in conjunction with Yates Badger Pipelines. The work included heavy machinery for digging trenches for pipelines as well as machinery for earth moving and road paving. The company had, however, lost its work for the British Nuclear program as Britain decided its nuclear deterrent should be American weapons. Across the road the Hunslet Engine Co had been making the most of the downturn in the markets by effectively mopping up their rivals. Hunslet were particularly keen to take on Hudswell’s mine locomotive work. In 1972 while the value of the businesses were low Hunslet Engine Co simultaneously acquired Andrew Barclay in Kilmarnock and Hudswell, Clarke in Leeds. The Hudswell, Clarke name was retained for some time, mainly for after sales service New and repeat orders for Hudswell, Clarke were produced in Hunslet’s works and the Railway Foundry was soon demolished. The name gradually disappeared over the next decade, however, the success of Hunslet’s underground engine business owed something to the Hudswell, Clarke designs and orders they had acquired. 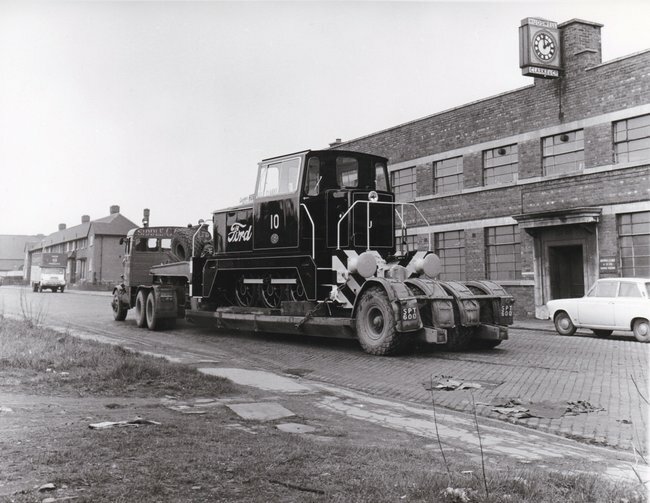 Hunslet continued to build mine locomotives, and similar locos for contracts such as the Channel Tunnel, right up to the closure of their works on Jack Lane in the mid 1990s. The civil engineering equipment part of the business did not pass to Hunslet with the locomotive business. It was taken over by the Industrial & Commercial Finance Corporation in 1968, a government backed scheme to finance small and medium sized enterprises. In 1972 the ICFC also bought fellow Leeds engineering firm Thomas Green and the two were merged. Thomas Green - Hudswell Badger produced Hudswell Badger's "Total" fork lift trucks and "Sherpa" stackers until the firm was closed in 1975 and these products together with Greens road rollers were acquired by Atkinson of Clitheroe. We have quite an interesting selection of pictures of Hudswell engines containing works photographs, photos of items in industrial use and in preservation. This is thanks to a number of contributions of material we have received. Our Main List should list most of Hudswell, Clarke & Co's locos with just some of their later machines currently left to list. Hudswell kept wonderfully detailed records cross referencing to their relevant drawings. In some instances diesel locomotives might use some parts drawn decades previously for one of their steam predeccessors. Having the drawings to hand must surely have saved much work for the drawing office. Within the Leeds area alone several examples of Hudswell machines can be found on display or in working order today. Around the world there are hundreds of surviving Hudswells. with thanks to Sheila Bye, Andy Hardy and Ian Smith for assistance producing this article.